AMES — Bridget Carleton began her day like any other. She woke up, brushed her teeth, and headed off to class buffeted by chilly winds and a sense of wonder. 1. Kinesiology 462: Medical Aspects of Exercise. Carleton watched the WNBA Draft unfold at assistant coach Billy Fennelly’s house. She was surrounded by family and friends — all family, really — and FaceTimed with her parents back in Ontario for hours. 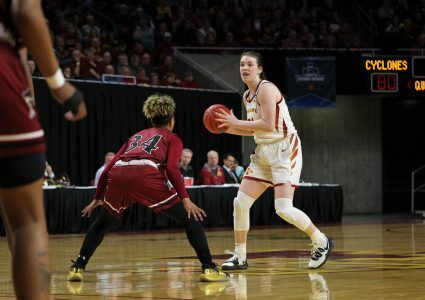 The 6-1 guard, who finished her Cyclone career as the program’s second all-time leading scorer, tried to fully follow her daily routine, but hearing one’s name called on the ESPN family of networks isn’t exactly an everyday occurrence. And a challenge. It’s not remotely easy to crack one of the 12 WNBA team’s rosters. Overseas opportunities abound, but the best of the best play in the WNBA — where Carleton feels she belongs. Carleton said an ancillary goal of playing in the 2020 Olympics for Team Canada coincides with the current task at hand. She feels well prepared for both challenges. So Carleton’s “normal day” dovetailed into sky-high aspirations. It seems fitting. 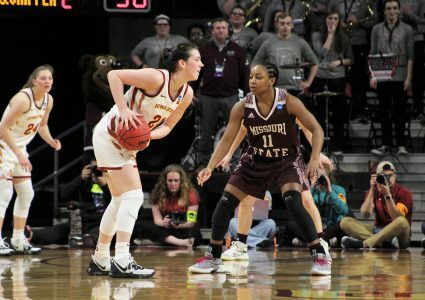 Fennelly sensed that she would become a transformational player early on, and she proved to be just that. It’s what Carleton does, too. Her dogged devotion to the game has carried her to the cusp of greatness. What happens next is up to her — and if she ever feels stuck, Fennelly is just a phone call (or text) away. And No. 21, who was drafted No. 21, won’t hesitate to reach out, or vice versa. Rob, an Ames native, joined Cyclone Fanatic in August, 2014 after nearly a decade and a half of working at Iowa's two largest newspapers. He spent 10 years at the Des Moines Register and, after a brief stint in public relations, joined the Cedar Rapids Gazette as an Iowa State correspondent three years ago. Rob specializes in feature stories for CF. 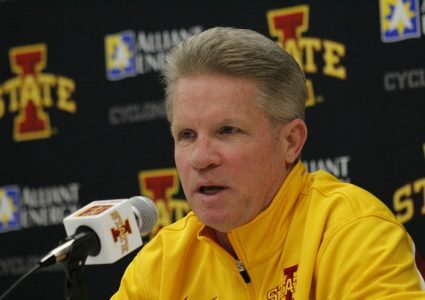 ISU athletes allowed to cheat on tests?